Preached by Sara on September 7. Even though the church calendar says we’re in the same season that started in June and that runs through November 23, even though the Farmers’ Almanac says it’s still summer until 10:30 pm on September 22. We all know that summer is over and fall has begun, regardless of this ridiculous weather. It is the time for starting new things. It is the time for the end of life as we have known it for the past few months, especially if our lives are such that our rhythm changes in the summertime—not everyone’s does. It is also the end of a season at St. David’s, a long season. Most of you are aware by now that the season of me—I like that…the season of me!—as your rector is ending. But that season doesn’t end right now; you’re stuck with me until November 23, the end of the Church year. Transition can be a rich time for a community and I’m excited for you all. A transition like this is a time for you all to articulate and claim your corporate identity as followers of Jesus. Today’s readings from the New Testament, from Romans and from Matthew, have much to teach us about community identity as followers of Jesus. A few weeks ago I talked about our missional identity as followers—even though a writer whose work I respect a lot says don’t ever use the word “missional” in a sermon—this week I want to talk about how we function within community. This is always important as followers of Jesus—for everyone anywhere, really, but especially during a time of transition. As Jesus traveled from village to village, and taught others to do the same, I’m sure he, and later Paul, and Barnabas, and others, left people who stood there on the edge of town scratching their heads and saying “gee, I wished he’d stayed a little longer. Hm. What do we do now?” How do we live in community without Jesus or James or Timothy to remind us how it’s done? Jesus and Paul give us the answers in today’s readings. All of the eighteenth chapter of Matthew is about potential pitfalls of community life. It is in this chapter, a few verses prior to today’s reading, that we hear “if your hand or foot causes you to stumble, cut it off and throw it away.” This is how seriously Jesus takes community life. 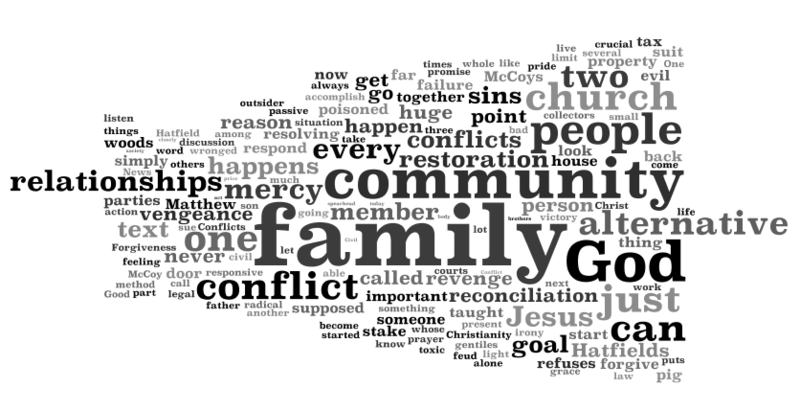 Paul describes the building blocks of community life as living in love with one’s neighbor, setting aside quarreling, jealousy, drunkenness, etc. The bottom line is for Paul, as a guide for community life, the ten commandments never go out of style. The core of discipleship is this vigilant, reconciling work that begins in our hearts and moves from there out into our own community of disciples. The kingdom of God is a full-service community, serving up not just the good news of healing and economic justice, but also healthy communities equipped from the inside out to proclaim Jesus’ love to the world. This core of community health is kind of like core strength in our own bodies. Ever thought about or begun working out with weights? Most people who start lifting weights do it because they want to get bigger muscles. (I have a theory that this is even true for women who say it isn’t.) People often start lifting weights because they want to have bigger biceps or shoulders or quadriceps, whatever. No one wants to be told that they really need to work on core strength first, and always. No one wants to be told that unless they have a strong core, they will eventually—pretty soon—hit a wall with all their other training. It doesn’t mean that the other stuff like intervals and weights and cardio isn’t important, it means that we need to be strong at the center in order to keep getting stronger in everything else. There are limits to what we can do without this core strength. And this is, of course, true of communities of Jesus-followers. Our core strength is our own healthy gathered community, and what we do here in this space when we gather. Our ritual meal—like the ritual meal of the people of Israel we heard about in the first lesson—looks backward in time and forward beyond time. In every Eucharist, we look back to the meal where Jesus broke bread with his disciples and asked that they do the same in his name. And we look forward toward the time beyond time, the time that is right now and forever, toward the transformation of the world into the Kingdom of God. As we gather around this table, I hope the holy food and drink you find here will nourish and strengthen you for your discipleship journey, in our community and in the world God loves.